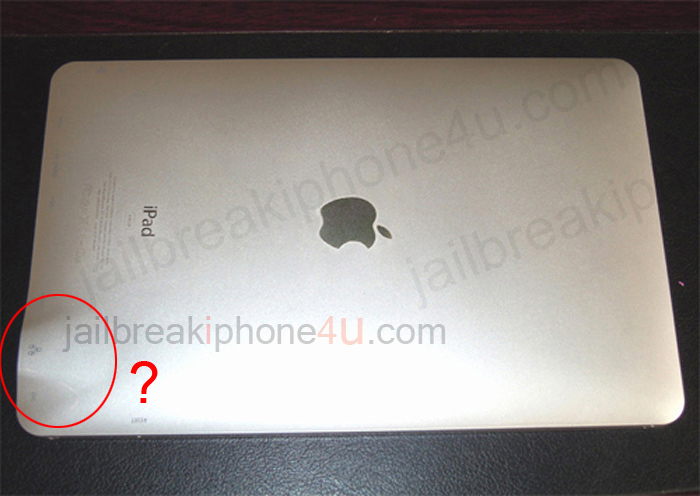 An image of a claimed iPad 3 “prototype” has appeared on JailBreakiPhone4u. While rumors of an iPad 3 have circulated for some time, there are several giveaways that we’re dealing with a fake. The device features the standard Apple logo and “iPad” trademarking, but has clearly different dimensions from the existing iPad 2 as well as other unusual design differences. A bulge in the bottom right of the device, circled red in the image, shows a port with an ethernet symbol – a very unlikely addition to a next-generation tablet. The “iPad 3” also lacks a back-facing camera. We’ve posted the image here more for interest, as the device more than likely represents a Chinese knock-off.